Owing to the wide experience of this domain, we are instrumental in offering Black Heart Tombstone. 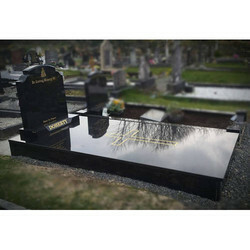 Our range of Granite Tombstone is available in different specifications of sizes and shapes. Using modern processing and finishing techniques, we can supply them in different kinds of finish and texture as per our client’s requirement. 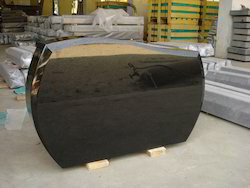 These Granite Tombstones are available at industrial leading price. Our company has earned accolades in providing Kerb Tombstone to the clients. This product is crafted with perfection using excellent quality granite and high-end carving tools, it is also quality tested on several parameters in relation to finish and design. This product is available in a variety of sizes, colors and patterns. A stone to your beloved ones.